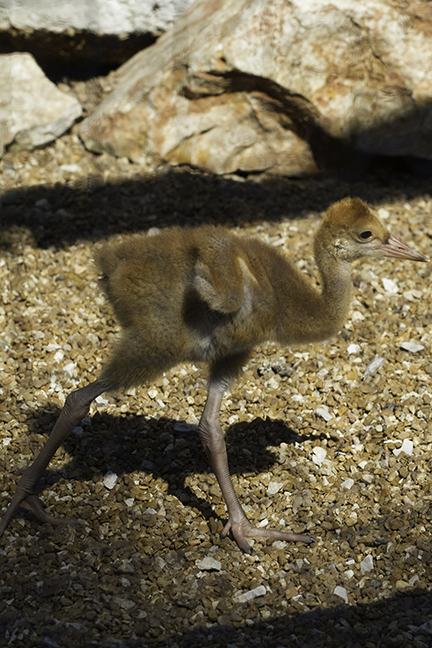 While at the World Bird Sanctuary I also captured these shots of a baby sandhill crane. We visited the World Bird Sanctuary near Valley Park, MO this weekend. 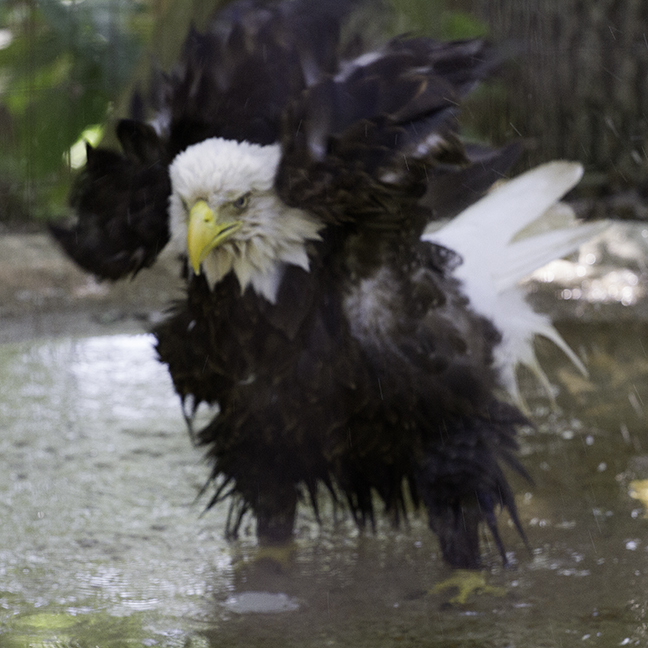 While there were many opportunities to photograph the birds there, this series of an eagle bathing in one of their enclosures is a favorite. When I looked at the first photo I immediately named it “Mad Bird” because of the expression and the positioning of the wings. The day the little trick-or-treaters love has arrived. If the weather is nice, the streets will be filled with costumed tots collecting treats for a short time this evening. 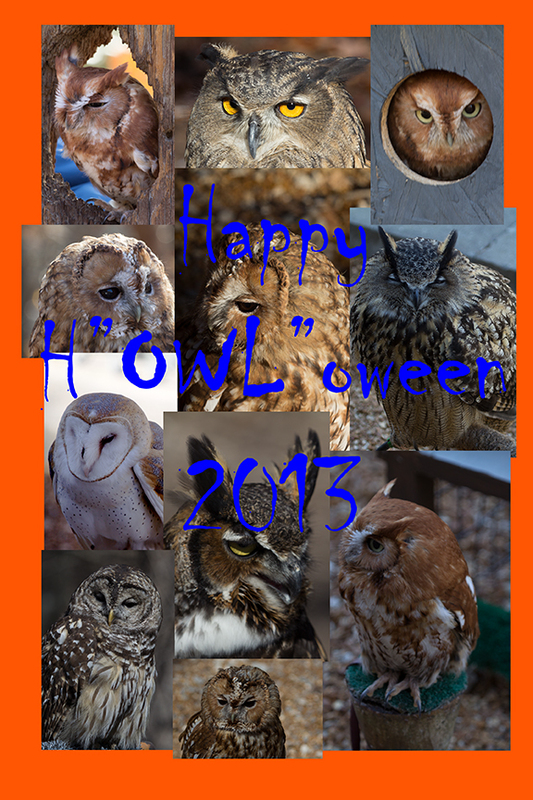 To close out the Countdown series, I offer this H“owl”oween image. Have a happy and safe Halloween everyone! 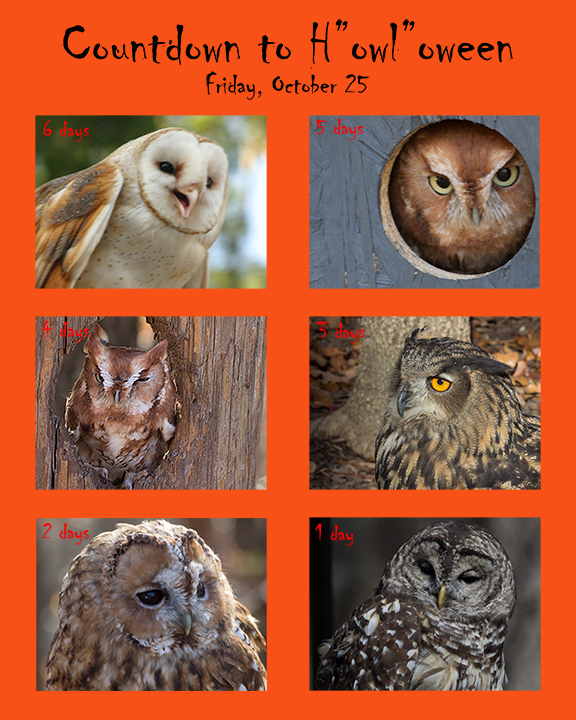 Only 6 days left ’til H”owl”oween!!!! !